Links must be presented in a way which fairly represent Consumer Protection's role and site(s). The context in which you insert the link must not give your visitors the impression your site, or your company, is sponsored or endorsed by the Consumer Protection or the Western Australian Government. The context of the link must not suggest Consumer Protection has created any of your content i.e. the source of the material must be clear. 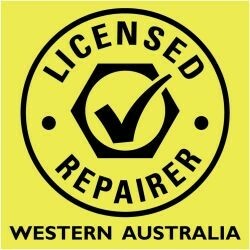 You can only utilise the 'Licensed Repairer Tick' logo while being the holder of a valid motor vehicle repair business licence and you understand making a false or misleading representation regarding sponsorship, approval or affiliation is an offence under the Australian Consumer Law (WA).